The empty curly brackets indicate an unqualified list name. That is, there are a number of actual attribute values, or elements, present on the feature. However, it is not possible to directly access values from an unqualified list name. Instead, these names can be used as parameters in the various transformers that operate on lists. By convention, the first element of a list has an index of 0. 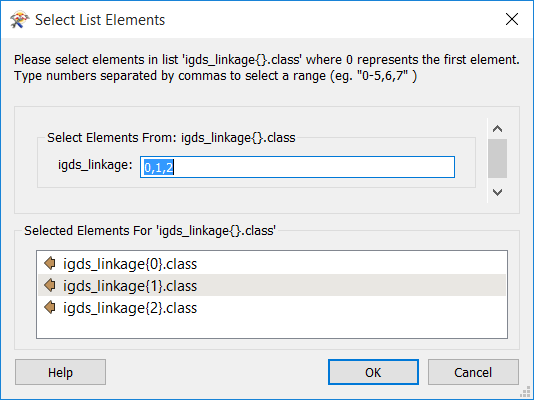 To expose the elements of a list attribute, right-click on one in a reader or transformer, and select Expose Elements. 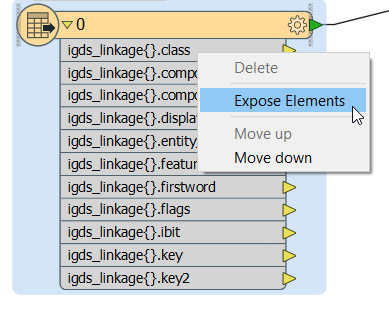 In the Select List Elements Dialog, enter the index integers of the elements you want to expose. 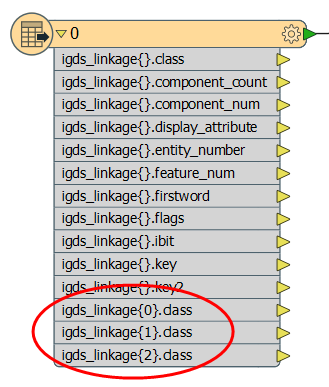 Keep in mind that the first element of a list is always index integer 0.